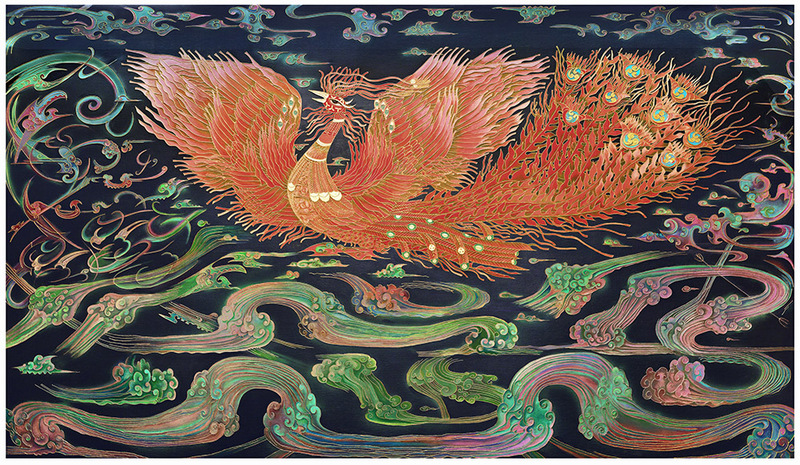 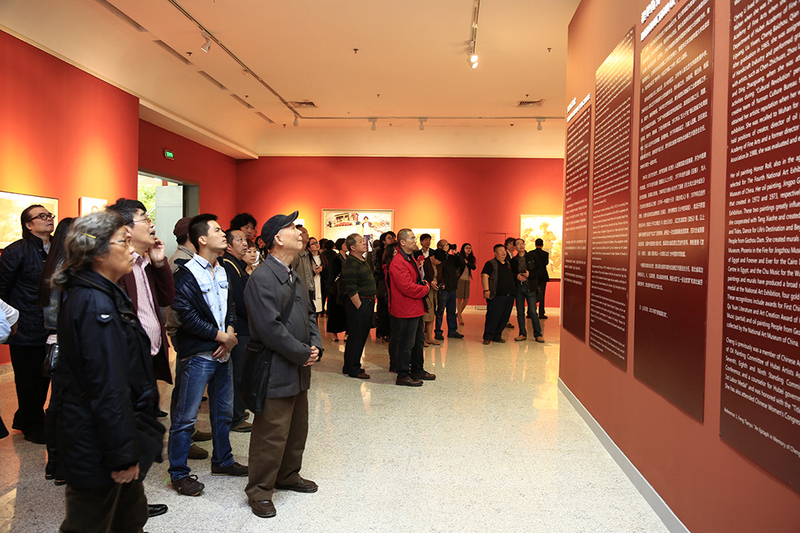 “Strong Wind and Big Waves – The Retrospective of Tang Xiaohe and Cheng Li” unveiled at Hubei Museum of Art on April 19, 2014. 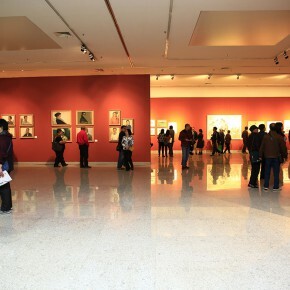 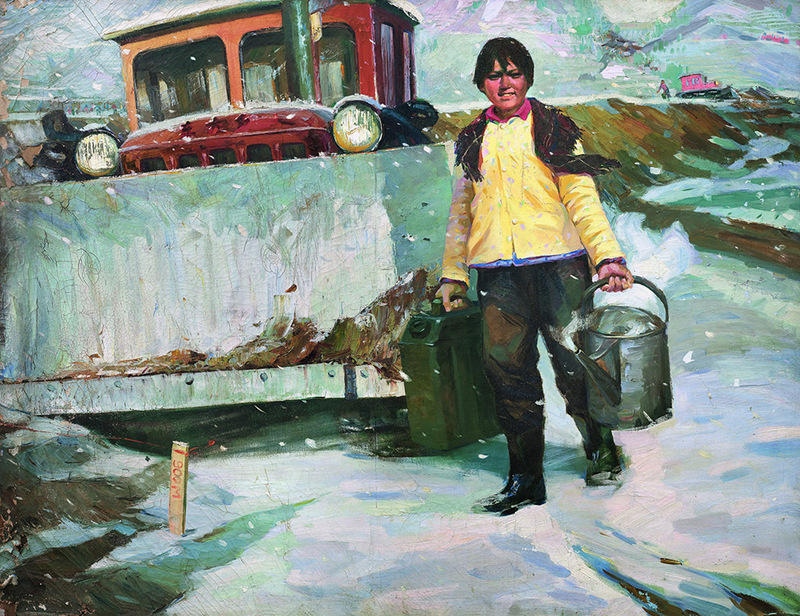 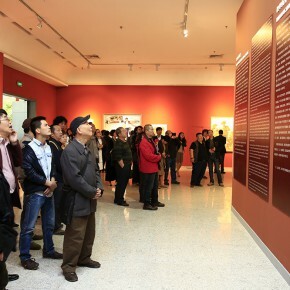 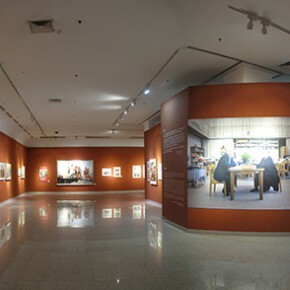 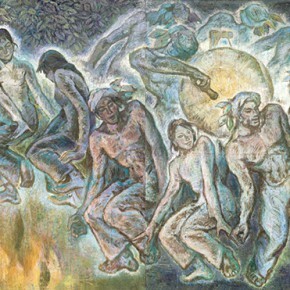 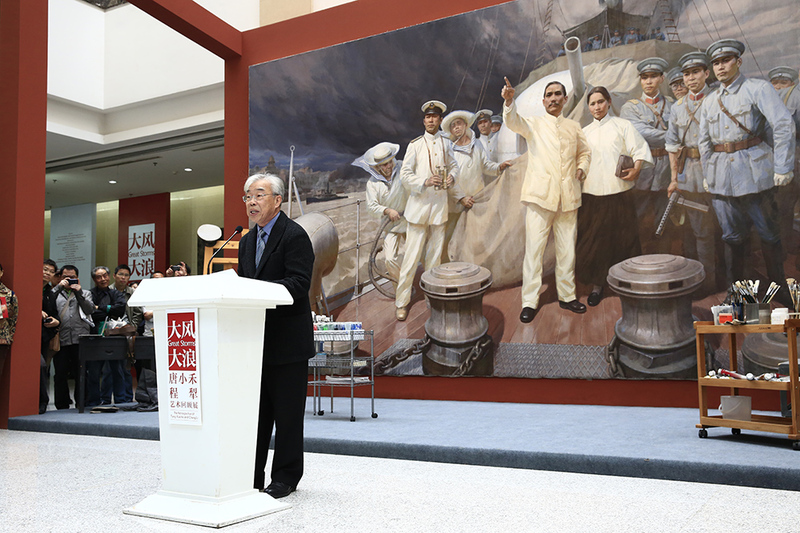 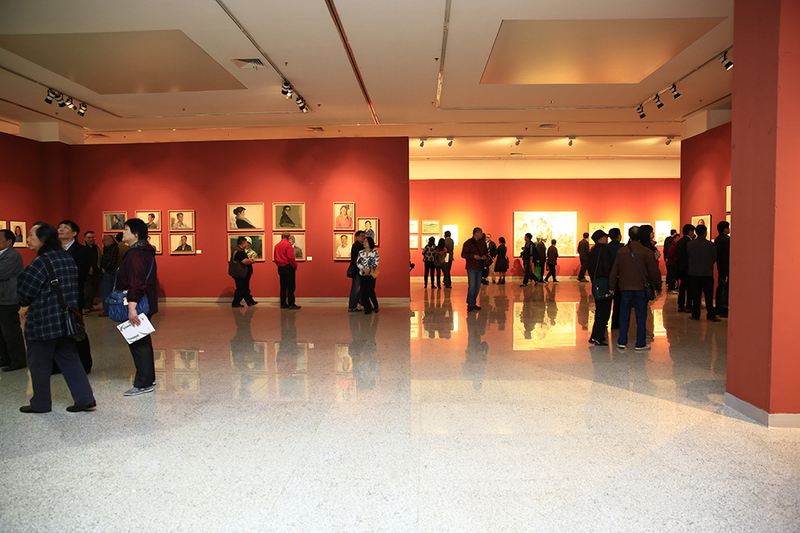 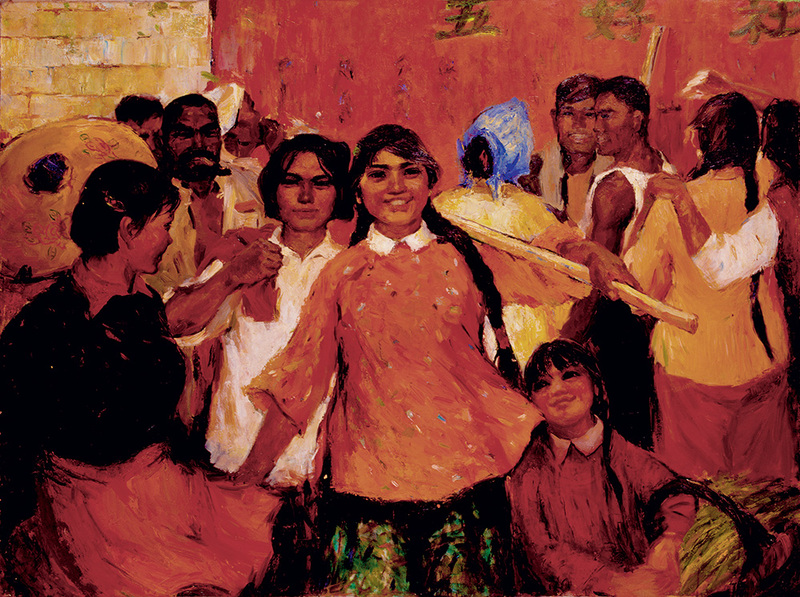 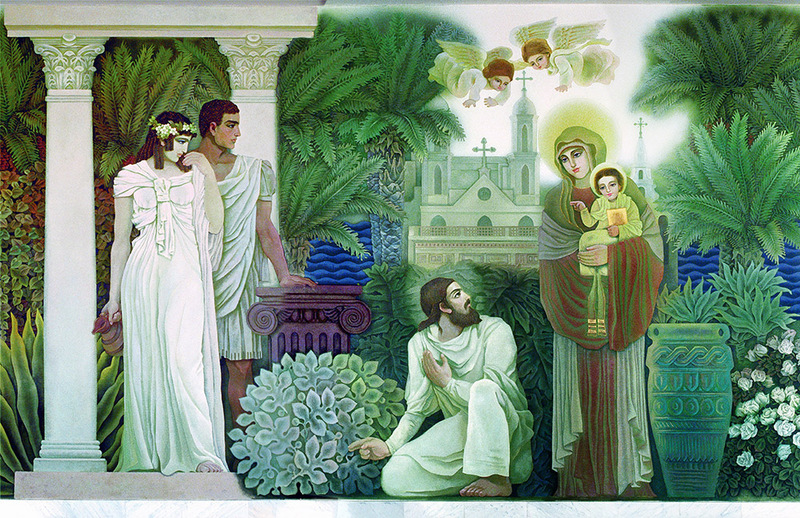 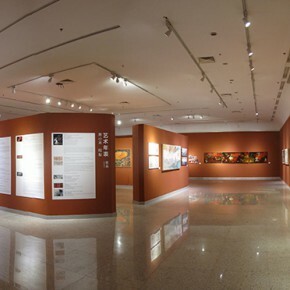 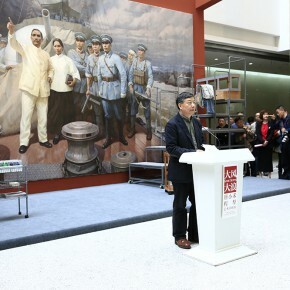 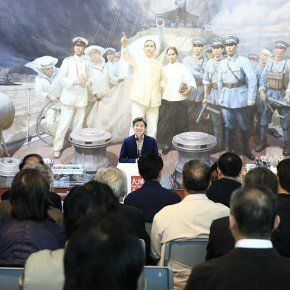 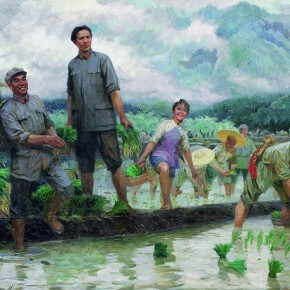 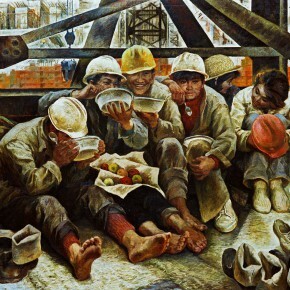 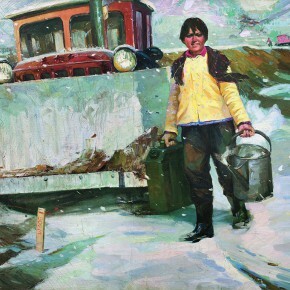 The exhibition is jointly hosted by China Artists Association, the Communist Party of China the Propaganda Department of Hubei Provincial Party Committee, Hubei Province Cultural Department, and Hubei Federation of Literature and Art Circles, organized by Hubei Museum of Art, the Mural Painting Art Committee of China Artists Association, and Hubei Artists Association. 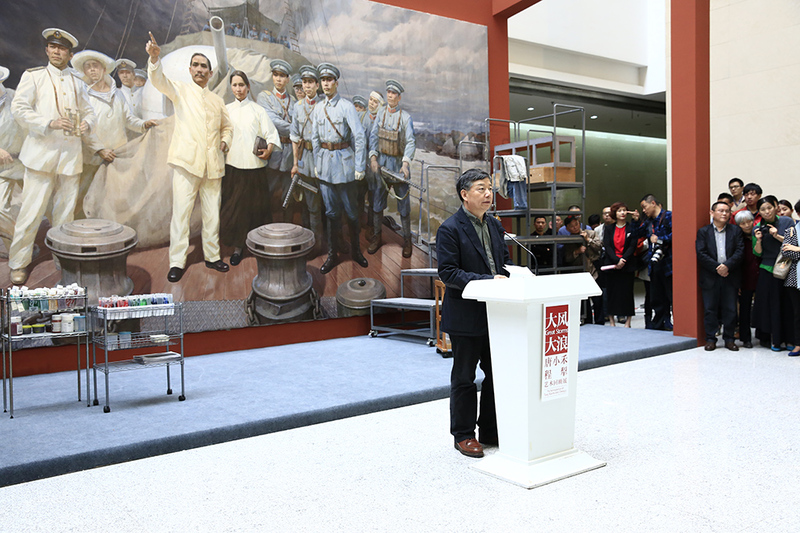 Ji Shaofeng serves as the curator, and the exhibition presents more than 100 works by the couple, Tang Xiaohe and Cheng Li, including historical oil paintings, manuscripts of mural paintings, sketches and historical documents. 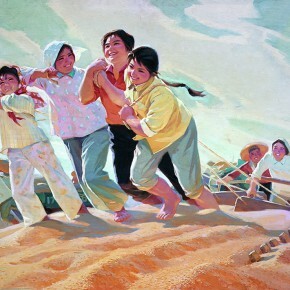 Tang Xiaohe and Cheng Li are well-known artists in China, mainly engaged in oil painting and mural painting. 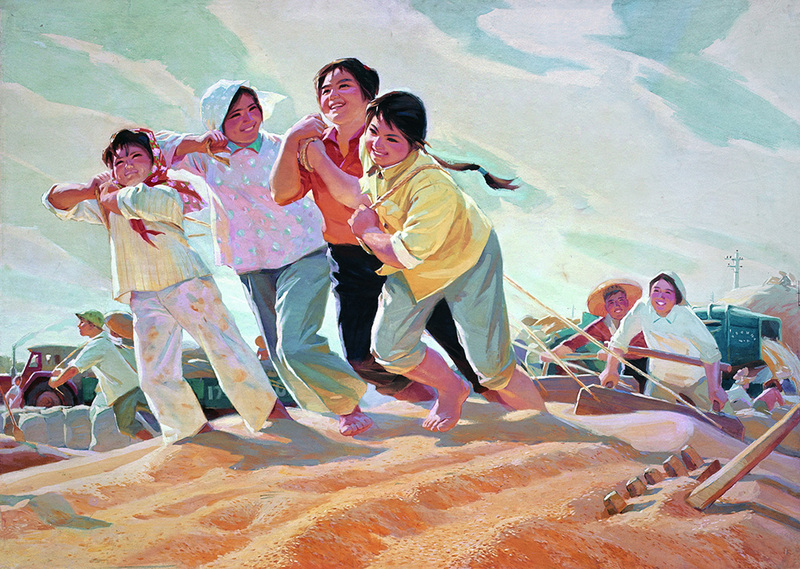 Since they married in 1967, the couple have worked together to finish oil paintings “Growing in the Strong Wind and Big Waves”, “Dance of Life Destination and the Start”, “Gezhouba People”, mural paintings “Chu Song”, “Phoenix in Fire”, “7000 Years of Civilization in Egypt”, “Forever”, and so on, won a lot of gold medals from national and provincial art exhibitions and international acclaim. 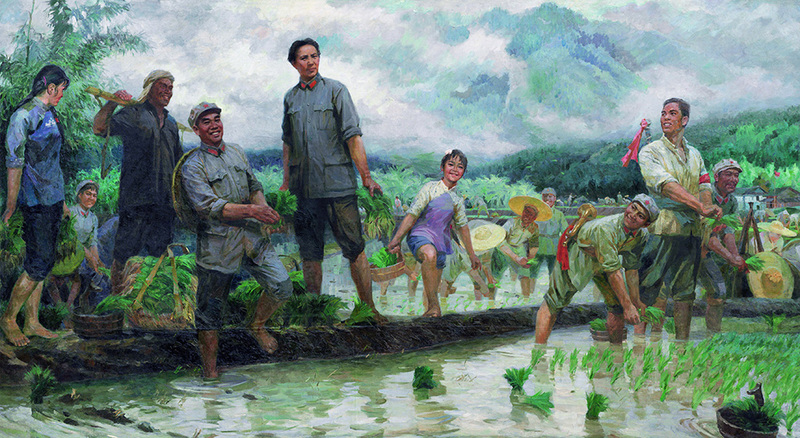 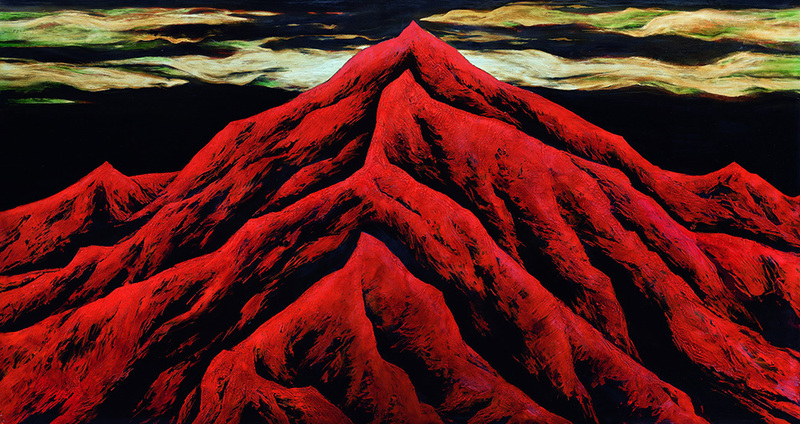 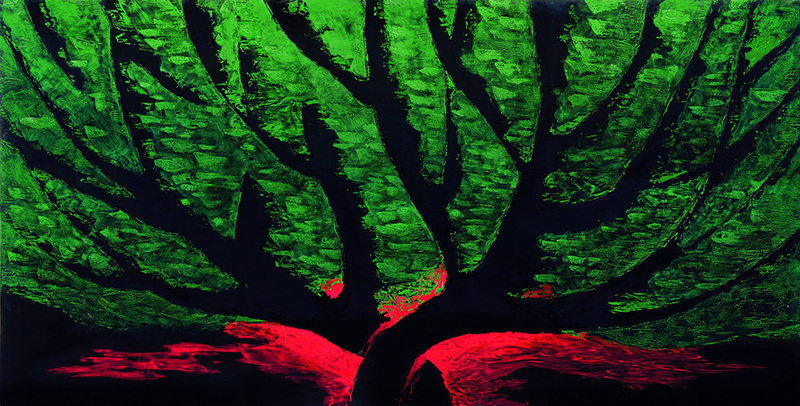 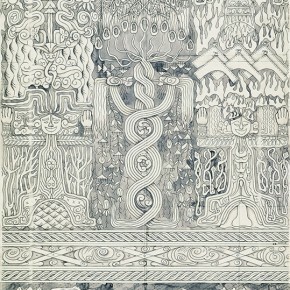 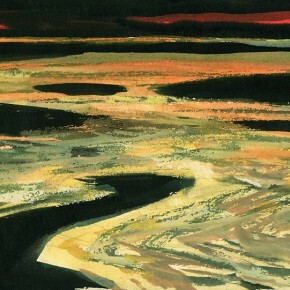 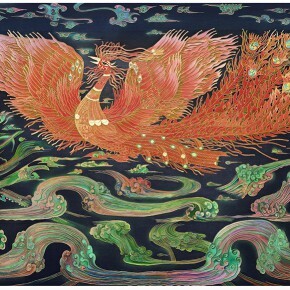 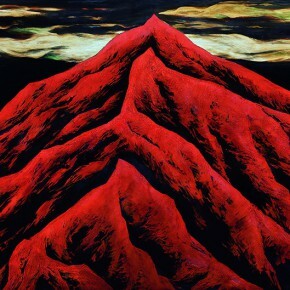 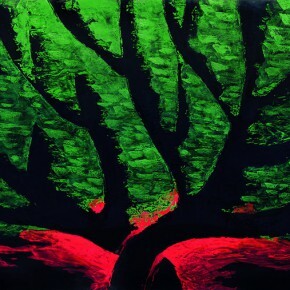 Tang Xiaohe and Cheng Li’s art is rooted in the deep national soil, carrying rich humanity and spiritual connotations. 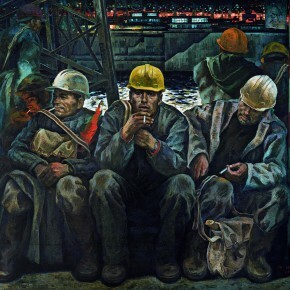 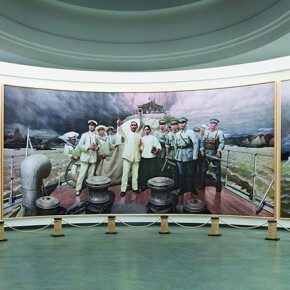 They consciously connect their art with the fate of the motherland and people’s life, through personalized visual exploration to highlight the distinct features of the times and life. 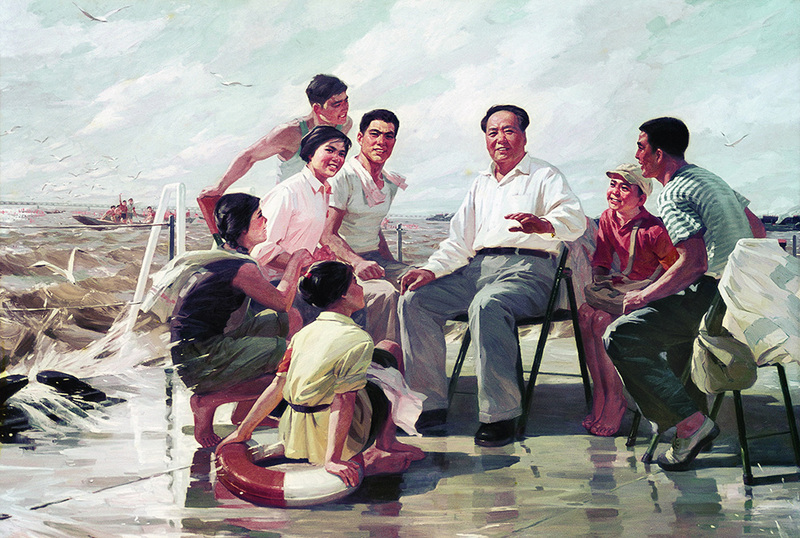 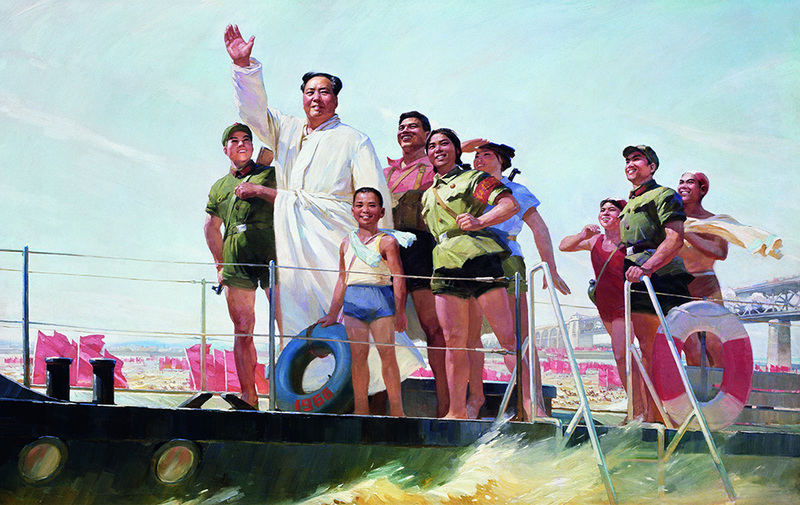 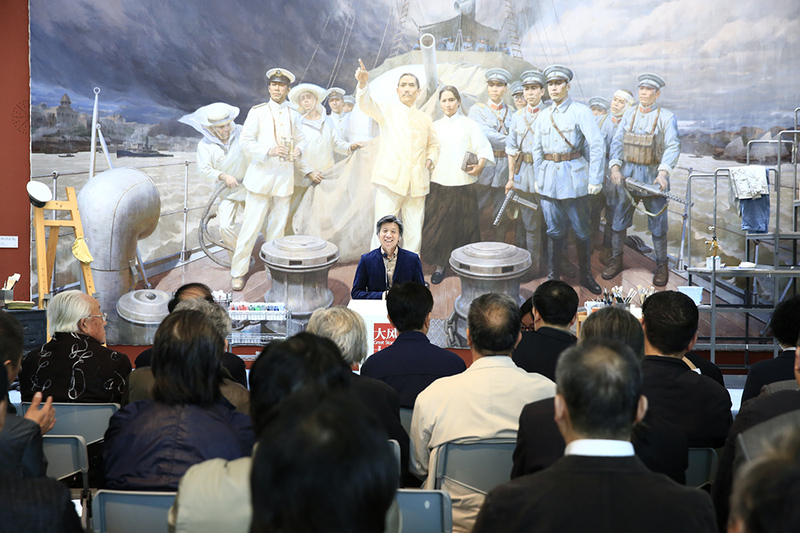 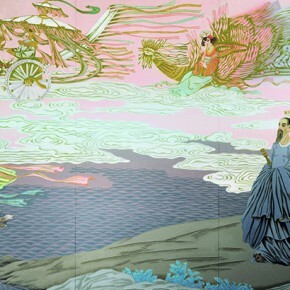 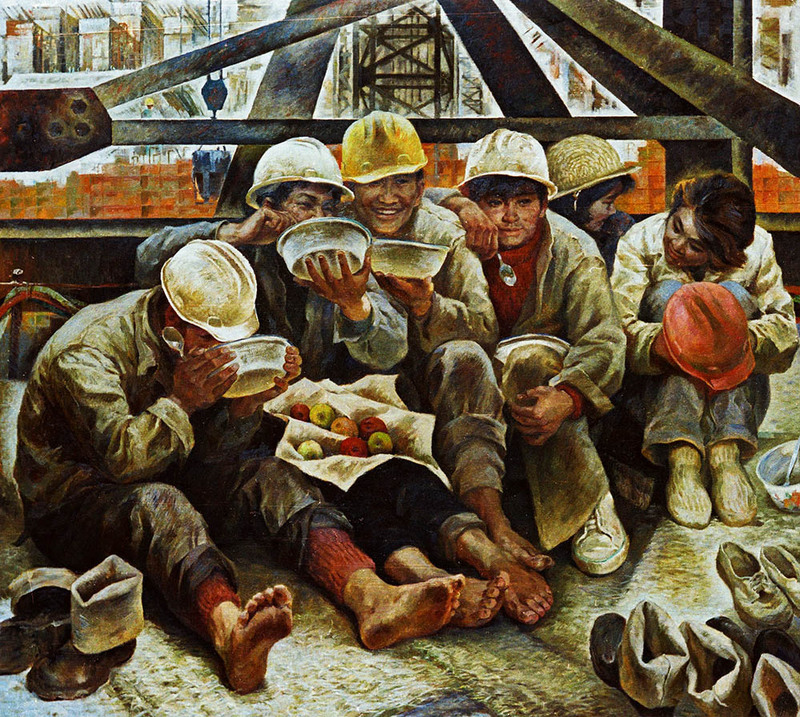 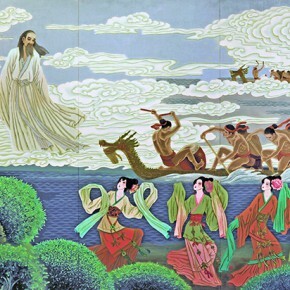 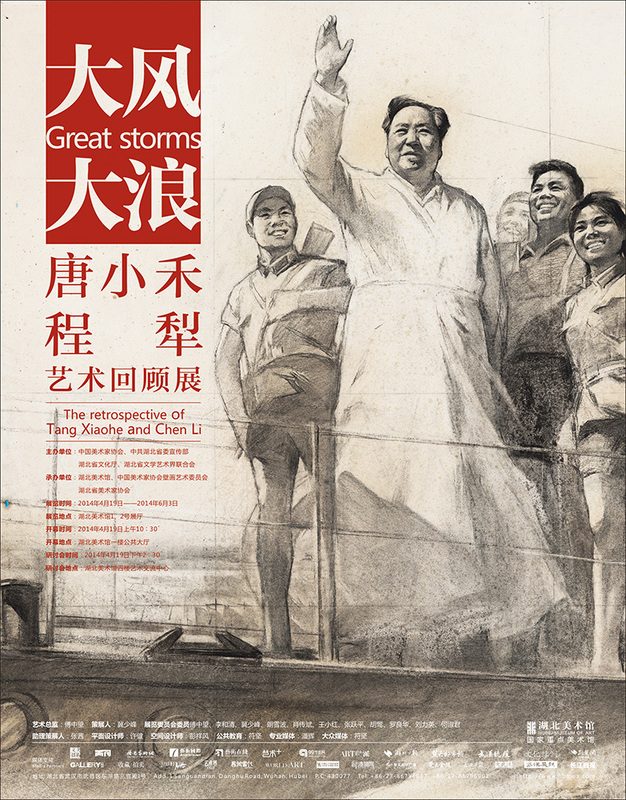 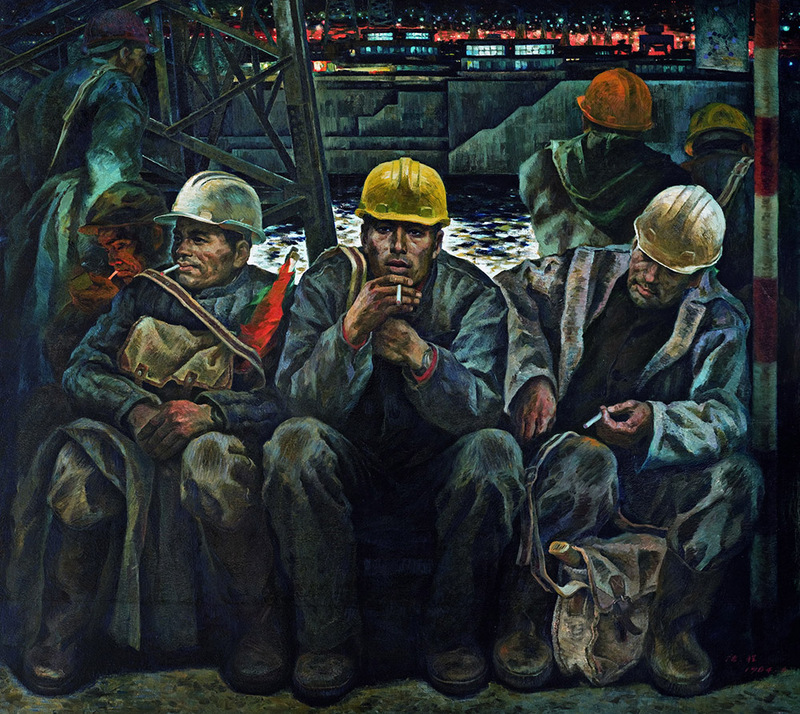 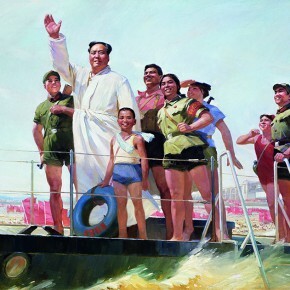 “Ahead in the Strong Wind and Big Waves” became one of the masterpieces displaying the visual experience of socialism, and they contributed their intelligence and wisdom to the public cultural demand with their deep tutelage of mural painting. 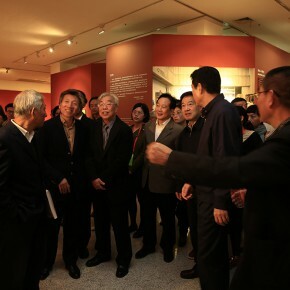 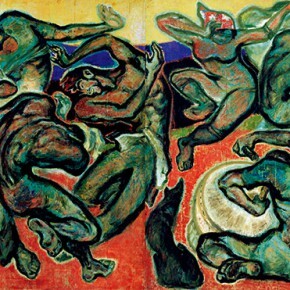 They not only created many influential art works but also fostered generations of students. 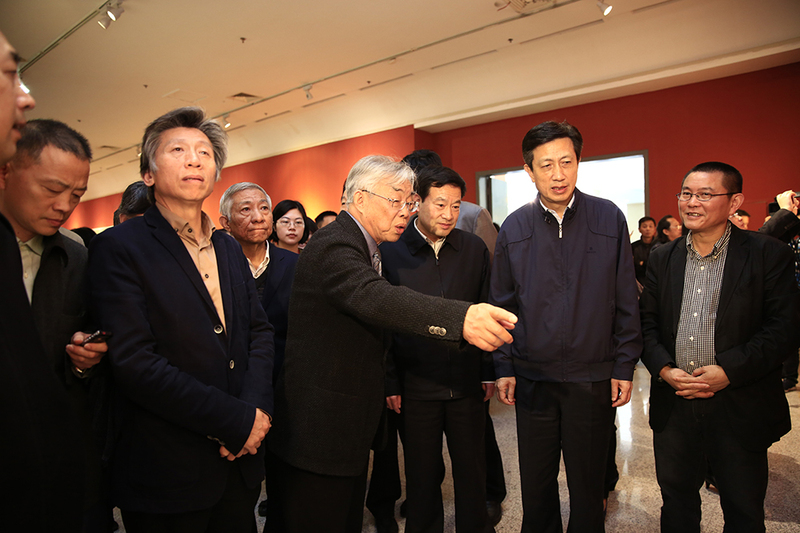 “Strong Wind and Big Waves – The Retrospective of Tang Xiaohe and Cheng Li” is the first subject exhibition that the couple have engaged in over the past 50 years, which combs through their path in the art world, and it launched a discussion on the opening day, invited a large number of critics, curators of art museums, artists, chief editors of the professional media to attend. 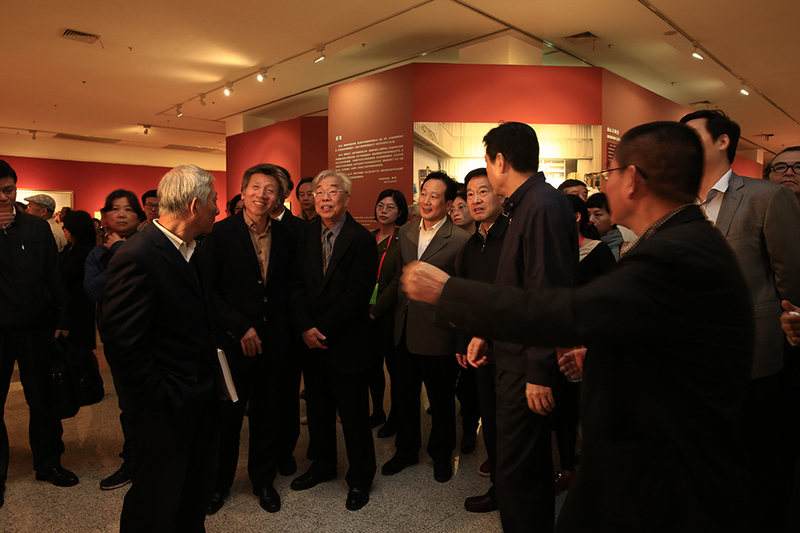 The exhibition will continue to June 3, 2014. 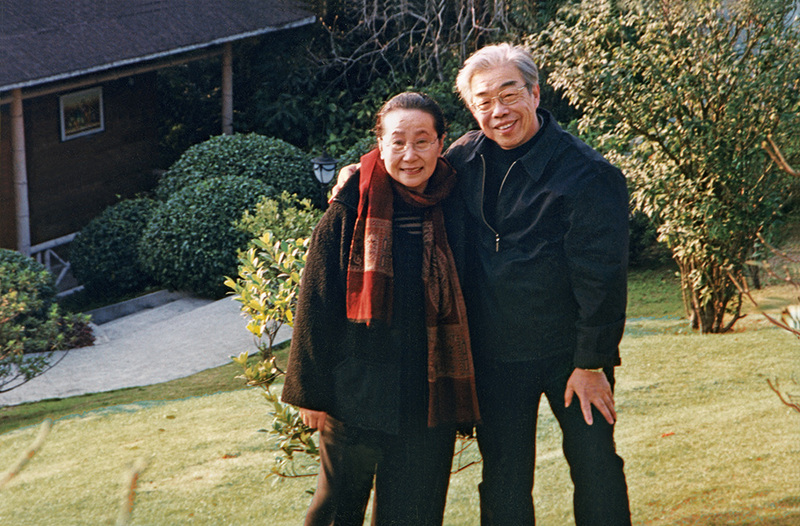 Tang Xiaohe was born in Degan of Jiangjin County, Sichuan Province on April 21, 1941. 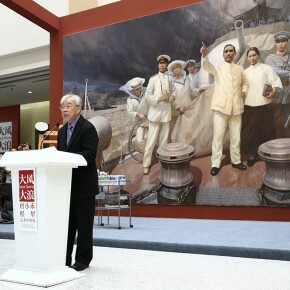 He was a former President of Hubei Institute of Fine Arts; He is currently the Chairman of Hubei Artists Association, Director of the Mural Painting Art Committee of China Artists Association. 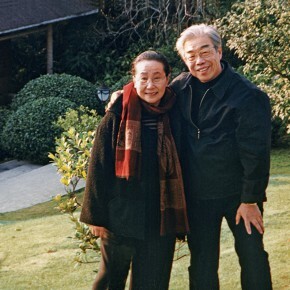 Cheng Li was born in Wuhan, Hubei Province on June 26, 1941. 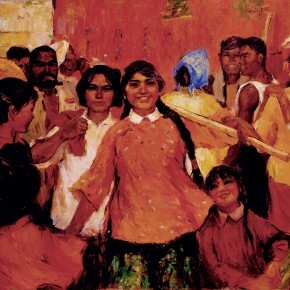 She is a member of China Artists Association, a former director of the Oil Painting Art Committee of Hubei Artists Association. 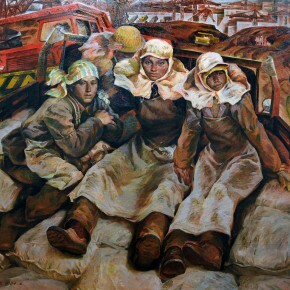 She was once awarded the “May 1 Labor Medal” by the nation and the title of “Model Worker” by Hubei Province. 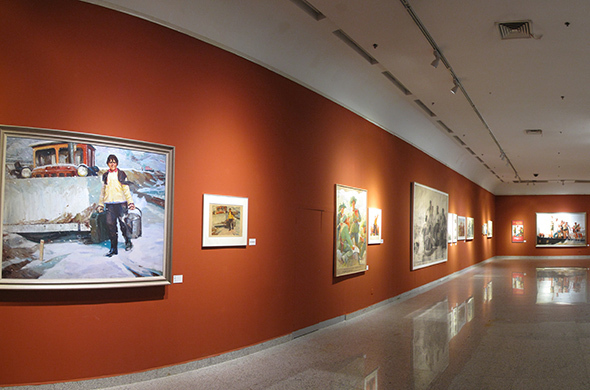 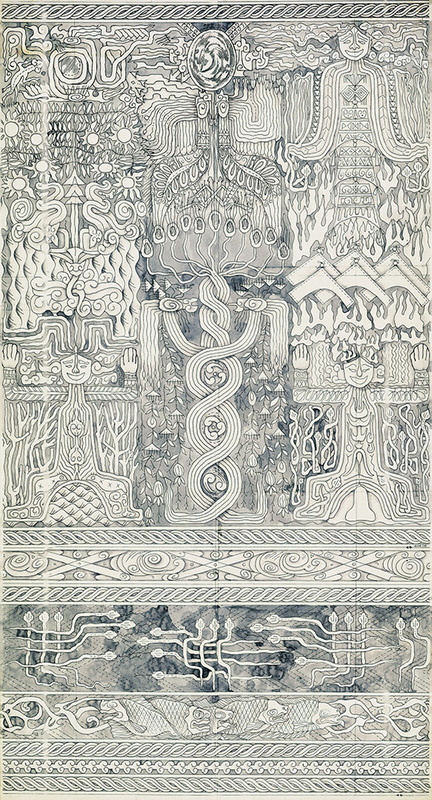 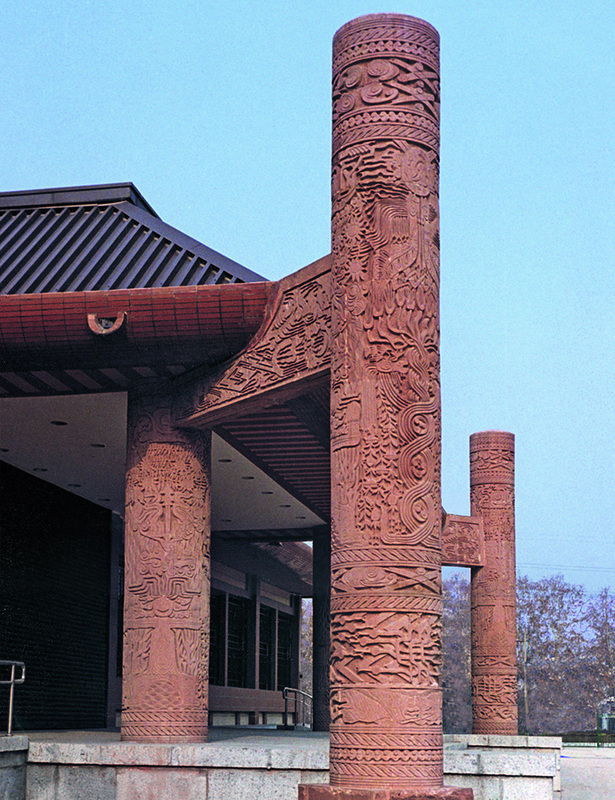 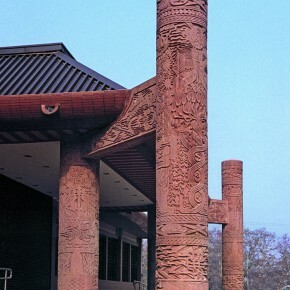 Photo Courtesy of the artists and Hubei Museum of Art.